Happy Easter! I hope everyone is having a wonderful, relaxing holiday. I am currently at the ILs getting ready for Easter dinner. My contribution to dinner was dessert – cupcakes of course. I started with my favorite chocolate cupcakes. For the frosting I wanted to do something special since it was Easter. I looked through my new book, BabyCakes, for ideas and saw a little blurb about coloring frosting naturally. Perfect! 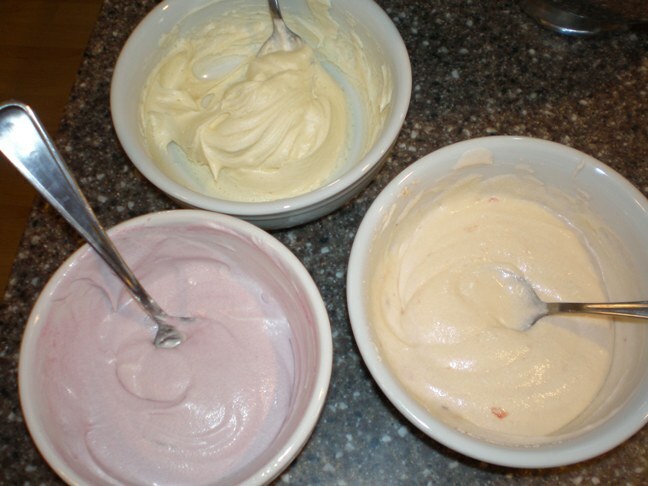 I whipped together some basic buttercream and then divided it up into three little bowls. BabyCakes recommended using blueberries for purple and tumeric for yellow. For pink I decided to use some watermelon puree that I had in the freezer from the garden last year. I put about a tablespoon of frozen blueberries and a cube of watermelon each in their own jelly jars to thaw out while I made the frosting. Then once the frosting was made and divided, I added the blueberry juice to the bowl and stirred it together. Then I sprinkled tumeric in another bowl a little at a time until I got the desired color of yellow. Then I added watermelon puree to the third bowl to try to make pink frosting. The colors are light, but you can see that it did work for the most part. The watermelon puree turned the frosting a peach color instead of pink, but that’s fine. 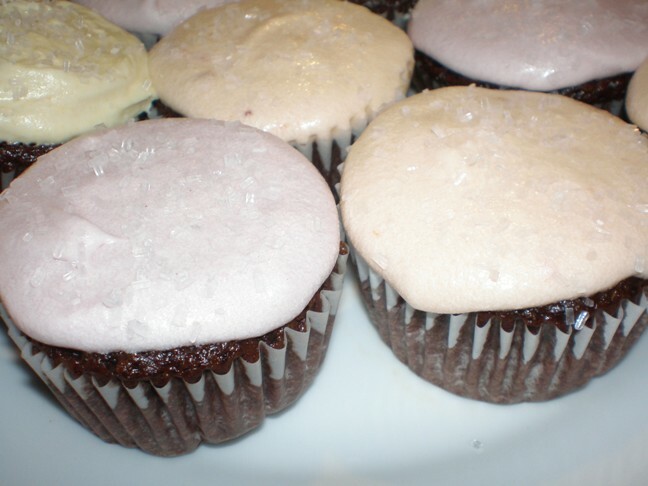 Then I frosted the heck out of my cupcakes and topped them with some clear sanding sugar. I couldn’t get a great picture of the colors inside so I took the cupcakes out on the front porch to use the natural light. The colors are obviously more pastel. They are not super vivid, but I thought the pastels worked well for Easter. I will definitely use natural ingredients to color my frosting in the future, but after this first go-round I learned a few things for next time. First, if you are going to use a liquid to color the frosting like blueberry juice, make your frosting a little stiffer than normal. I started with really creamy frosting and then when I added the blueberry juice it made it a little too runny. 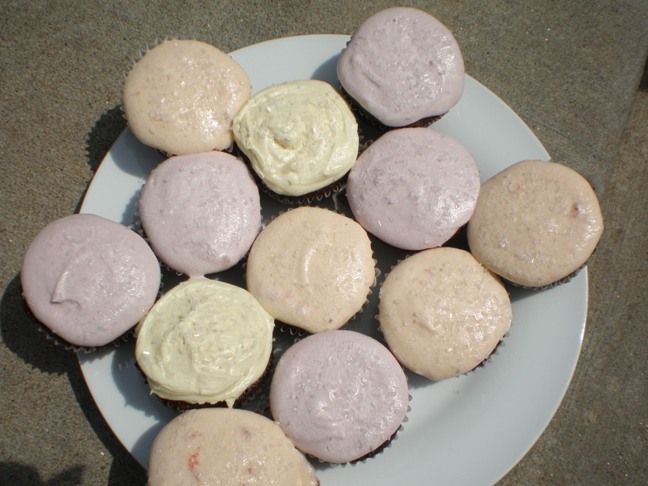 It still tasted great, but you can kind of see how creamy the purple cupcakes are in the pictures. Second, if you are using a powder or something non-liquidy to color the frosting, make the frosting creamy from the start. It will be easier to whip the spice into the frosting to get a consistent color if it is on the creamy side rather than the stiff side. In the pictures above you can kind of tell that the yellow frosting is stiffer compared to the purple and peach frosting which is a tad runny. If you want to use both a liquid coloring and a non-liquid coloring in the same batch just take some of the frosting out while its still stiff to use with the liquid coloring. Then whip more milk into the remaining frosting to use with non-liquid coloring. Finally, the idea is to add just enough of the natural coloring so that it colors the frosting, but not so much that the frosting actually tastes like what you’re using. I did not want to end up with blueberry and tumeric flavored frosting. So don’t go too overboard with the additions. I tasted all the different colors (somebody has to lick the bowls!) and didn’t think any of them tasted like the ingredients I used to make the colors. I love this! I really liked the yellow and purple! I never thought of using fruits as a coloring. I wonder if cherry would give a more vibrant pink, (or just turn it red)? Anyway This is a great article. Cherry is a great idea! 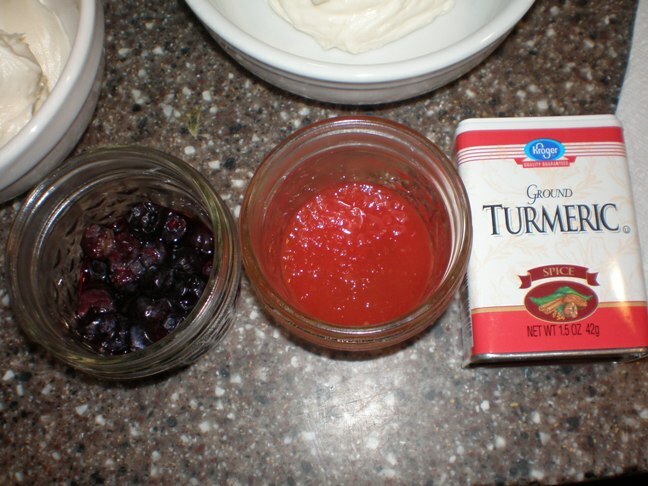 If you got some frozen cherries you could let them thaw out like the blueberries I used and then use the juices to dye the frosting. Frozen strawberries would work too I think. I had the pleasure of eating the cupcakes and they were excellent. 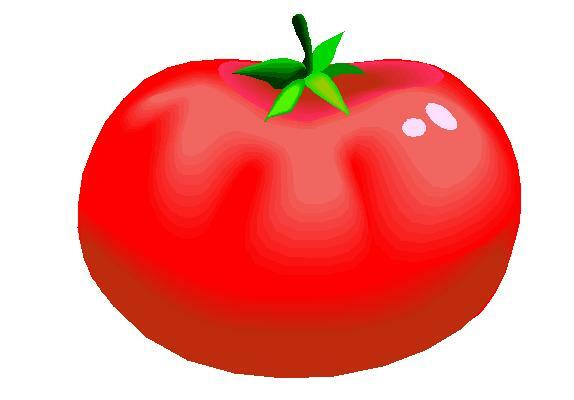 I fact I have one in my lunch today. The icing colors were perfect for a fresh spring look.